Episode 174: Do You Need a Tire Pressure Monitoring System for your RV? TPMS – Tire Pressure Monitoring Systems for RVers. Do you need one? Stay tuned and we’ll explain why you may. How to Shop an RV Show – We’re in the heart of the RV Show season right now. Before you attend a show, though, you need to make a plan. In this episode we talk to the marketing director for what many think is the biggest RV show in the country: The Florida RV Supershow, which opens next week. Dave Kelly will join us with some great tips appropriate for whatever show you attend anywhere in the country. And we’ve all heard of the Bourbon Trail, right. Well there’s another trail in Ohio that is equally rewarding. We’ll have an awesome Off the Beaten Path Report about the Great Donut Trail of Butler County, OH. All that, plus your RV questions, RV News, Traveling Tech Tips and much more. We’re back home from Rochester, MN and a visit to the Mayo Clinic for an annual physical. We share our very positive experience with the place voted the Best Hospital in America. The bitter cold has finally broken but for more than 10 days, nighttime temperatures were well below zero F in many parts of North America. Even parts of Florida saw snow! We talk about problems that can arise if you leave your sticks and bricks house unattended while on an RV trip and the temperatures drop so low. Here’s a question for you: How do you place your hands on the steering wheel when you drive? For decades, driver's ed teachers recommended that students place their hands at the ten o'clock and two o'clock positions, which were assumed to be the gold standard for leverage, comfort and control. But as a listener named Tom pointed out in an email he sent to us recently, that's not true anymore, due to new research in ergonomics, and new technology in steering wheels. Placing the hands at nine and three—”parallel position,” it's called—is now recommended by AAA, the National Highway Traffic Safety Administration, and other authorities. This is especially important for unsure drivers, who often get into accidents by oversteering. Parallel position lowers the body's center of gravity, and tends to allow smaller and more accurate steering corrections. But airbags are an even bigger issue. Many of us learned how to handle a steering wheel in an age when there wasn't a super-heated gas ready to explode right into our head and hands in case of impact. The old ten-and-two position puts the hands closer together, and has led to many cases of fractures and serious injuries when airbags deploy. Parallel position keeps your hands farther from the point of airbag impact. Also, to better protect your thumbs in case of a collision, rest them on the wheel itself rather than hooking them around its interior edge. And more driving myth buster: Thanks to airbags, that crossover “hand-over-hand” way that old-timers were taught to make sharp turns is now out of date as well, say many insurers and driving instructors. Crossing your arms can knock your other hand off the wheel, or seriously injure you when airbags pop. Meanwhile… be sure to send me your tips and suggestions for the RV lifestyle. 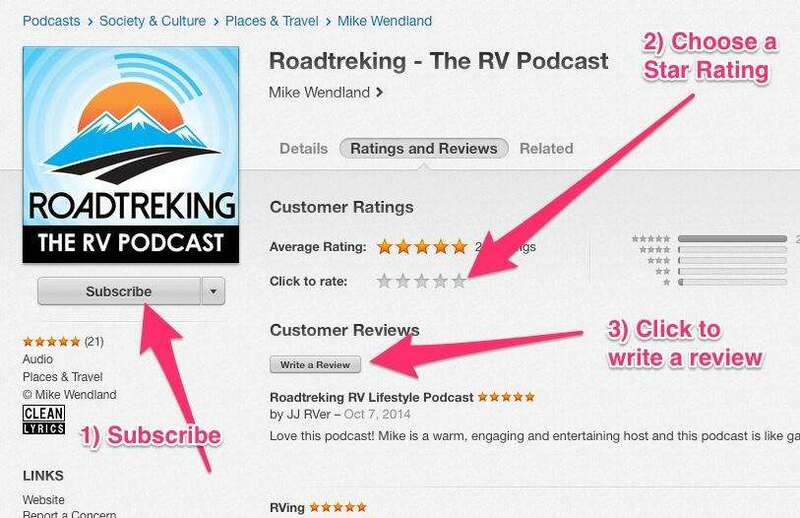 You can use the “Leave Voicemail” link at Roadtreking.com. Just click it and then use the built-in microphone on your computer or mobile devise to record a message to me. You can do it over as many times as you want, until you are satisfied. And then you just click a button and it comes right to my email inbox. Listener Jacqueline asks for an update on the highly advanced Kymeta Satellite Internet system we are evaluating on our 2017 Roadtrek CS Adventurous XL 4X4. We first talked about this system in Episode 158 (to listen to it go to https://rvlifestyle.com/158 ) While the system is not yet commercially available in production vehicles, there may be a way, albeit expensive, for early adapters to order one. We explain. Sponsoring this part of the podcast is Van City RV Bringing You the largest Inventory of class B’ RVs with locations St. Louis, Missouri; Las Vegas, Nevada; Kalispell, Montana and now… Colorado Springs, Colorado..
We’re in the heart of the RV Show season right now. Before you attend a show, though, you need to make a plan. In this episode we talk to the marketing director for what many think is the biggest RV show in the country: The Florida RV Supershow, which opens next week. Dave Kelly join’s us with some great tips appropriate for whatever show you attend anywhere in the country. Meanwhile The 33nd Annual 2018 Florida RV SuperShow opens Wednesday, January 17 and runs through Sunday, January 21 at the Florida State Fairgrounds in Tampa, Florida. From Miami to Maine, winter has made its presence known recently. And while it’s a nuisance for some, it’s downright dangerous for others. Did you know the cold can also take its toll on your devices? If you’re going outdoors, keep your phone close to your body – like in your pocket or inside of your coat. That way your body heat will keep the phone from getting too cold. Extreme cold can greatly shorten your phone’s battery life. And especially if the temperature is expected to fall below freezing, it’s a good idea not to leave it outside in a parked car. Try not to pull it out much in the cold to use it. Instead consider answering your incoming calls with a paired Bluetooth headset. Many of today’s newest phones like the Samsung Galaxy S8, Google Pixel 2 and iPhone X are water resistant so snow or a cold rain won’t hurt them. But if you have an older device, consider investing in a waterproof protective case. This will help prevent any liquid damage to your phone, should you accidentally drop it in the snow. Should your car break down or you get stuck on the side of the road, it’s a good idea to have an extra battery pack, like a mophie powerstation, or keep a mobile charger in your car. Cold temperatures can make your smartphone’s screen more fragile as well—leading to potential screen cracks. Verizon’s Total Mobile Protection can ease the pain with cracked screen repair as soon as the same day and next-day shipping for replacements. And, if your device does get cold, Asurion recommends warming it up to room temperature before using it to avoid condensation forming inside and damaging your phone. Here’s a transcript of the story recorded by Anna Burkett and her dad – Tom. Mom and wife Patti slept in that morning and missed the grand adventure. It was middle of the night dark when four of us piled into the car two days after Christmas. I’m Anna, and I last traveled with my parents last summer to Fiddle Camp and the Schoodic Peninsula in Maine. My cousin Kelsey was with us, who was with them for a visit to the nudist camp sundial in Indiana, and her brother TJ who lives in New York City and isn’t surprised by much of anything. Today we were headed for southwestern Ohio and something new to all of us – the Butler County Donut Trail. My dad has an insane fondness for donuts, and this was just too good an opportunity to pass up. If you’re not a regular donut consumer, you might wonder why were were up at such an early hour. Donuts are made in the wee hours of the morning. They’re at their best when steamy hot, and many shops sell out and close up early in the day. Indeed, the brochure for the donut trail clearly warned about this possibility. The first stop was more than two hours distant, and we thought five AM the latest we could wait and still hope to successfully complete the trail. The night before we’d downloaded a map and our passports from the visitors’ bureau website. We’d also noted with dismay that four of the twelve shops on the trail were closed for the holidays. Running the trail was a gamble, then, because we had no guarantee that if we completed the stops we would still be able to collect our commemorative t-shirts. To enhance our chances, TJ suggested we stop by the closed shops as well and take a selfie with the sign to show we’d been there. The first two bakeries were closed. At each we piled out of the car and took a snap, looking longingly at the darkened kitchens behind the glass. Third on the list was Martin’s. It shone like a beacon in the dark, a converted gas station with a neon ‘OPEN’ sign. The garage bay side was now floor to ceiling glass windows opening onto the kitchen. Bags of flour and glaze lined the walls, with flour and mixers in the center. The office area was four large no-nonsense cases resplendent with donuts and a couple of coffee urns. We talked it over in the car on the way down. We’d get three donuts at each shop, two to split between us and one to take back to those still asleep at home. We walked out with one maple bacon bar, a banana creme filled, and an apple fritter. “Oh, let’s get one of those, too,” said Kelsey, pointing to the large chocolate frosted ring. It was a mistake that would later haunt us. Cathy Mason, owner and donut purveyor, advised us to go big early when she heard we were on the donut trail. “By the end you’ll be pretty full of donuts, “she promised. Sure enough, after everyone had had a bite or two, she was left holding half the pastry. “Ooonh, I don’t think I can eat this,” she complained. “Told you so,” said TJ as he watched her furtively throw the evidence in a trash can outside the next stop on the circuit. Three of the people in the car slept for the two hour ride home, deep in a donut coma. We noticed as we passed through each inviting door that these shops opened at either three or four in the morning. By the end of our run the cases were already mostly empty, so if you want to have the best selection get up early wherever you are and look for the local donut shop. I do. So far nothing in my taste experience has bettered Red’s in Paducah, Kentucky for the best donut in America, but I’ll continue to hunt. If you’re a hunter, too, you may find us out there somewhere in the steam and the sugar glaze, wandering the wee hours, off the beaten path. by Steinbring Motorcoach, Roadtrek’s newest dealer and a third generation family business in Minnesota’s beautiful Chain of Lakes region built on quality motorhomes and excellent pricing and service. Episode 146: What is the RV Lifestyle? Re: TPMS. My new PleasureWay Ascent came with Mercedes Benz’s factory TPMS, which actually tells the tire pressure of each tire on the dash center screen between the speedometer and tachometer, not just a warning that a tire is low. What has surprised me is how much the tire pressure increases when driving, even in cool weather. Starting with recommended pressures, so far I’ve seen increases of 15 psi. For instance, the recommended pressure for my Ascent’s back tires is 75 psi, and it climbs to 90 psi after several highway miles. I’ve had basic low warning TPMS on my last 2 cars, which is a mixed bag—yes, it warns if a single tire is low, but if all the tires are slightly low because of a cold snap, it’s annoying—there’s no way to know the difference without getting out the pressure gauge. Of course, that’s necessary anyway, because the basic TPMS doesn’t tell you which tire is low. I do like knowing the pressure of each tire. Since I don’t 100% trust any electronic device, I will still use an old fashioned gauge before any trip.